Stay alert to scams that use the IRS as a lure. 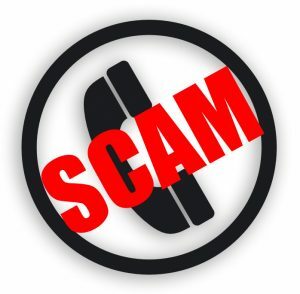 Tax scams can happen any time of year, not just at tax time. For more, visit “Tax Scams and Consumer Alerts” on IRS.gov. Each and every taxpayer has a set of fundamental rights they should be aware of when dealing with the IRS. These are your Taxpayer Bill of Rights. Explore your rights and our obligations to protect them on IRS.gov. RDHB is well respected in Western New York. The firm was named one of Rochester Business Journal’s Top 100 Companies in 2016, and three of its partners have been awarded the “40 Under 40” distinction. All of the firm’s partners are active in giving back to the community, including serving on the boards of several local non-profit organizations. If you have questions on IRS correspondence or would like more information about RDHB’s tax accounting services, contact David Feor at dfeor@rdhbcpa.com.